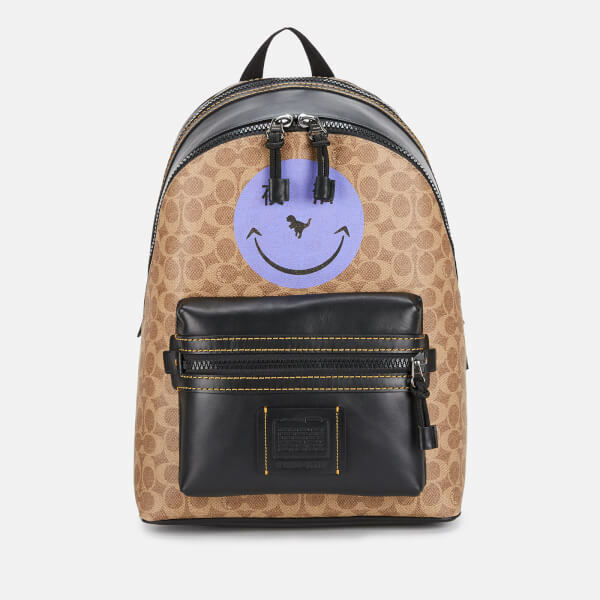 Designed in Coach’s signature monogram coated canvas, with a contrasting T-Rex graphic, the ‘Dinosaur Academy Backpack’ is both fun and functional. 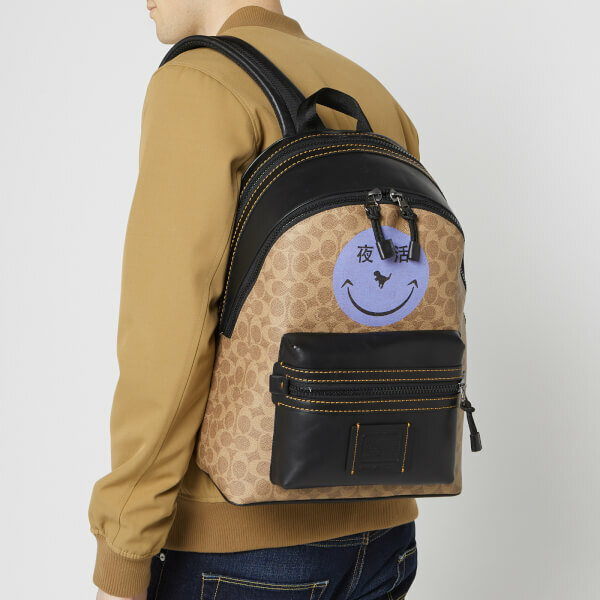 The neutral canvas is contrasted with a black leather front pocket and a smiley graphic print by Chinese artist, Yeti Out. The buttery-soft black calf leather outer is accessorised with bright yellow stitch detailing. 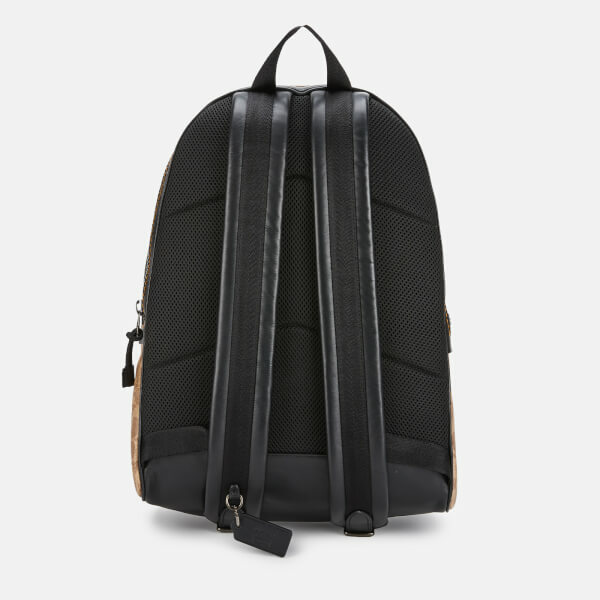 The generous main compartment is designed to hold all the modern essentials with a tech sleeve and zip laptop pocket. 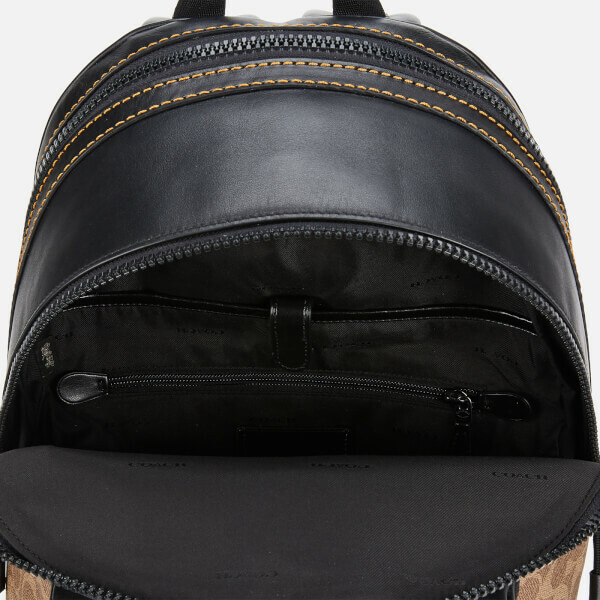 The men's backpack features two lined interior compartments and adjustable leather shoulder straps.